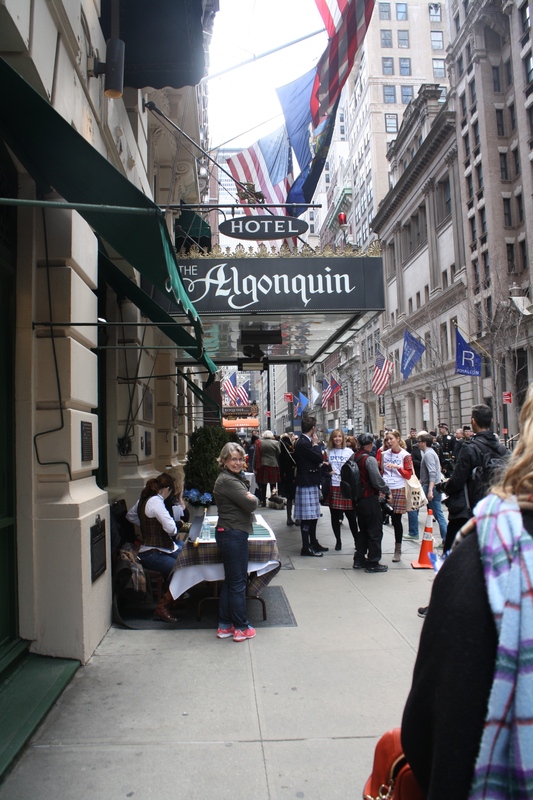 CHURCHILL, The Play, Comes to New York! 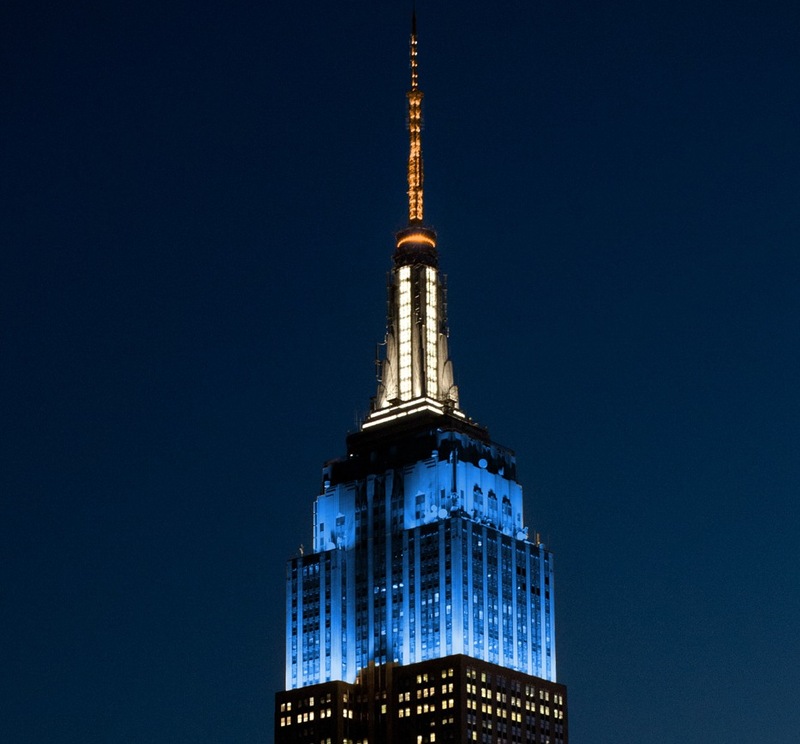 Looking for theatrical fun in New York? 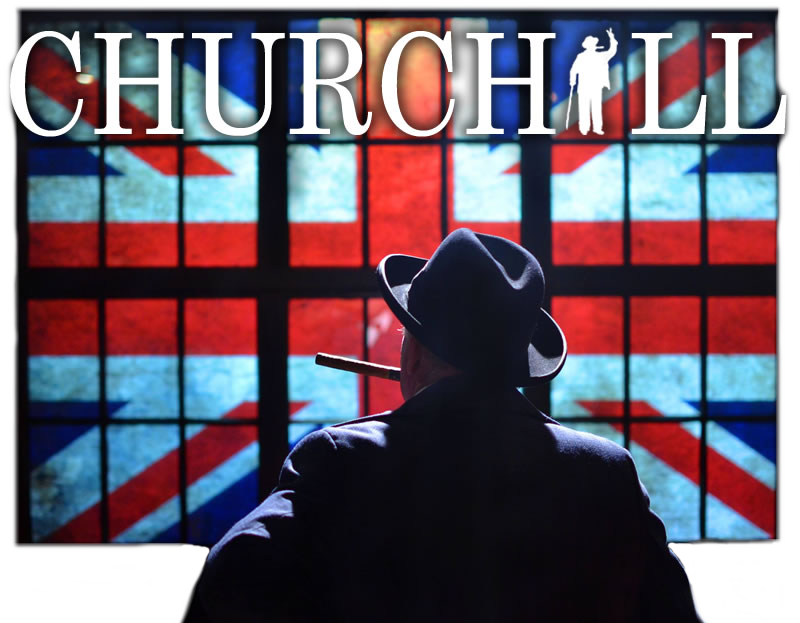 CHURCHILL, The Play is now showing at New World Stages! Purchase tickets and receive a special ASF member discount (information below) for an evening to remember. ASF members attending the production will receive a special ticket rate of $39.50 for Monday, Wednesday, and Thursday performances (regular $67) and $46 for Friday, Saturday, and Sunday performances (through June 28, 2015). 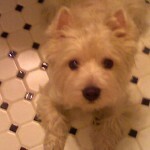 To book online, visit TelechargeOffers.com and enter code CUGEN115 to receive the discounted rate. 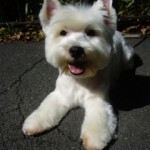 To book by phone, call 212.947.8844 and mention code CUGEN115. This entry was posted in Associate Events, Uncategorized and tagged CHURCHILL the Play, New World Stages on April 28, 2015 by Sara Heegaard. 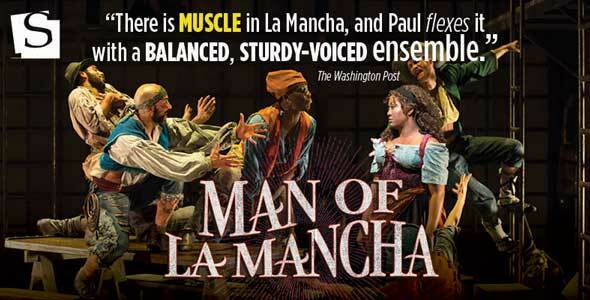 Man of La Mancha Playing in Washington D.C.
A wonderful reason to go to Washington, D.C. for the weekend, the Shakespeare Theatre Company‘s production of Man of La Mancha is receiving rave reviews for its fantastic acting, energy, and vocals. The production, which began on March 17 and runs through April 26th, has been called “a spirited production with top tier talent” by Shakespearances.com, and “a production people will be talking about for years to come” by the Baltimore Post-Examiner. Following the story of knight errant Don Quixote, Director Alan Paul‘s combination of sharp wit, moving music, and poignant storytelling brings new life to the classic tale by Miguel de Cervantes. To purchase tickets while they’re still available, visit the Shakespeare Theatre Company’s website, or call their box office at 202.547.1122. We hope to see you there! This entry was posted in Associate Events and tagged Alan Paul, Baltimore Post-Examiner, Man of La Mancha, Shakespearances.com, Shakespeare Theatre Company, The Washington Post on April 4, 2015 by Sara Heegaard. 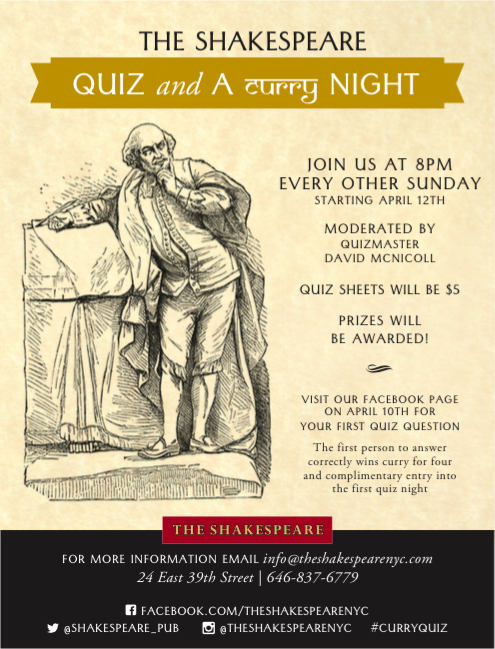 Starting Sunday, April 12th, one of ASF’s favorite haunts, The Shakespeare, will be offering a bi-monthly Quiz and a Curry Night. 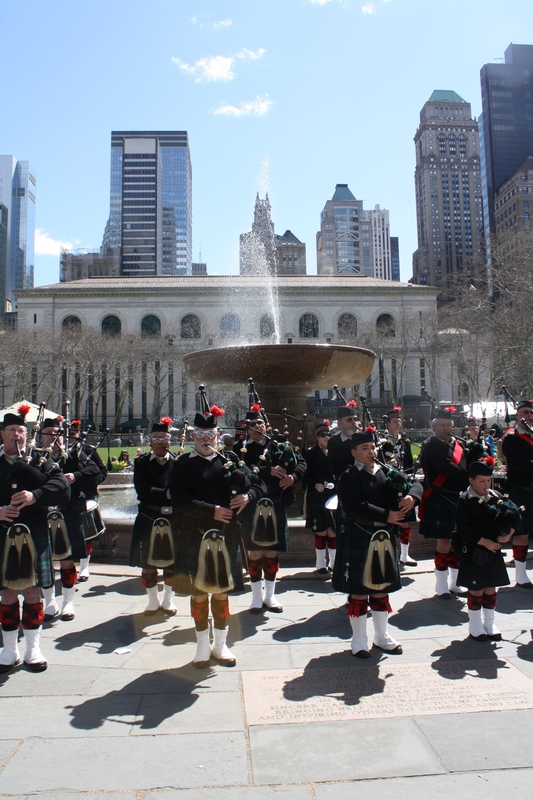 The tavern was recently featured in ScotlandNow‘s list of the 10 Best Bars to Visit During New York’s Tartan Week, and offers quiz sheets for only $5, with prizes to be won! 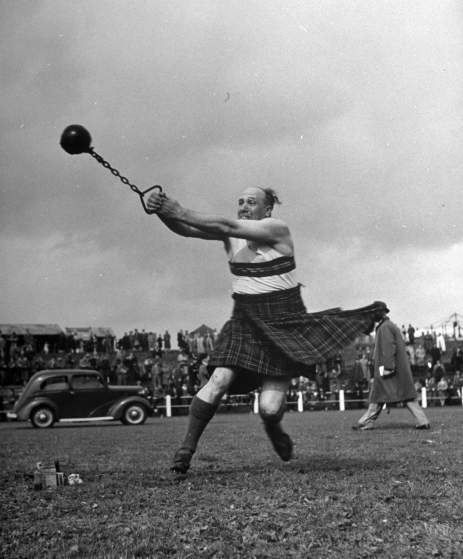 The wonderful David McNicoll will moderate. 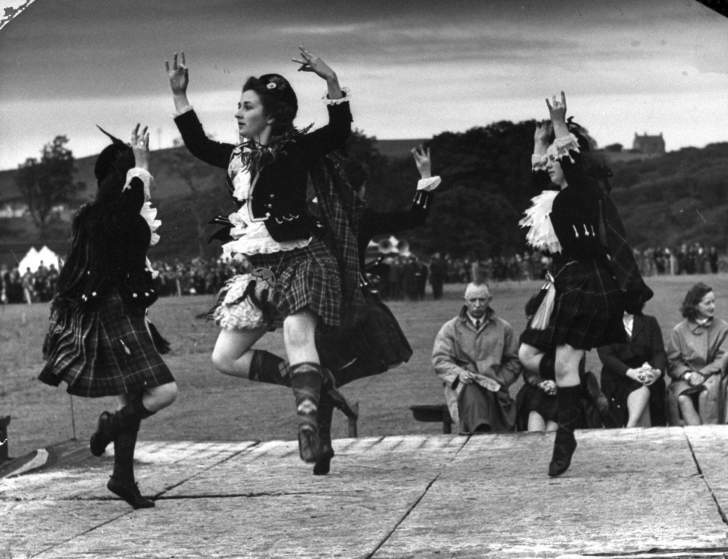 Visit the Shakespeare’s Facebook page on April 10th for your first quiz question. 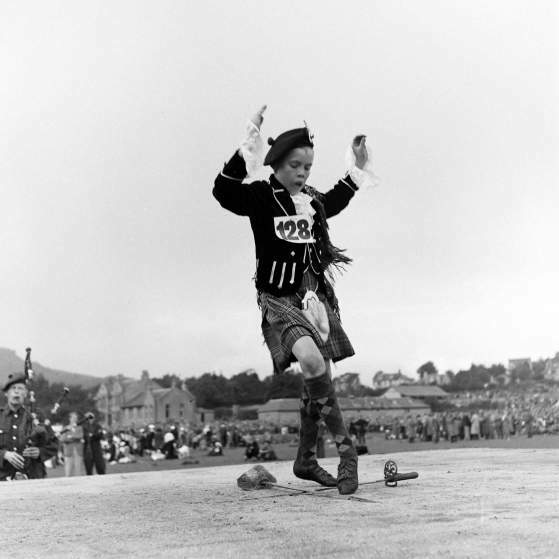 The first person to answer correctly wins curry for four and complimentary entry into the first quiz night! For more information, email info@theshakespearenyc.com or call 646-837-6779. 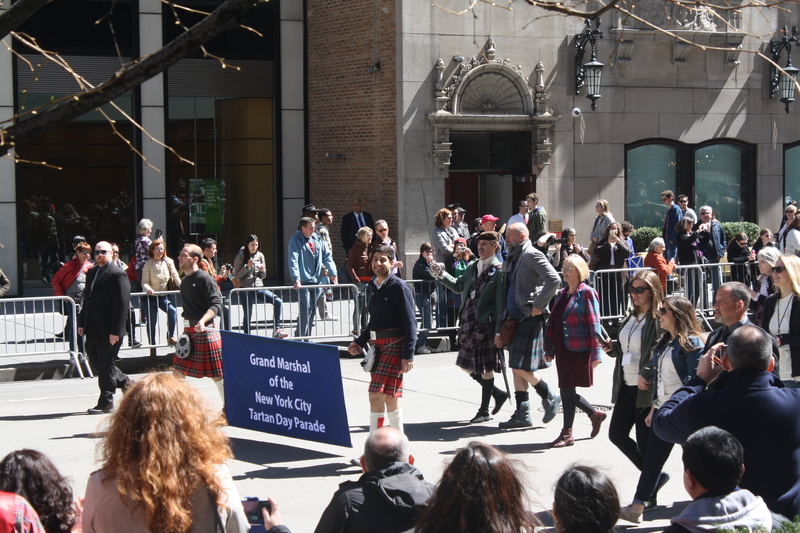 This entry was posted in Associate Events and tagged ScotlandNow, The Shakespeare on April 4, 2015 by Sara Heegaard. 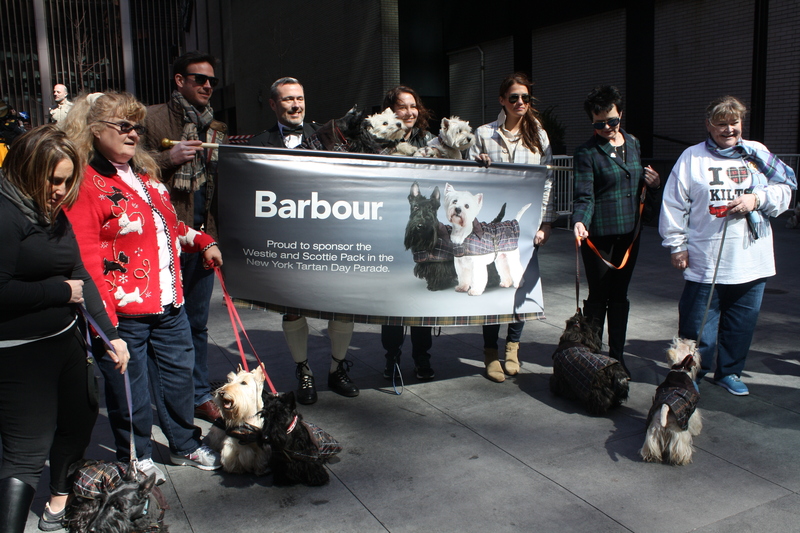 Meet the Barbour Tartan Dog Pack! 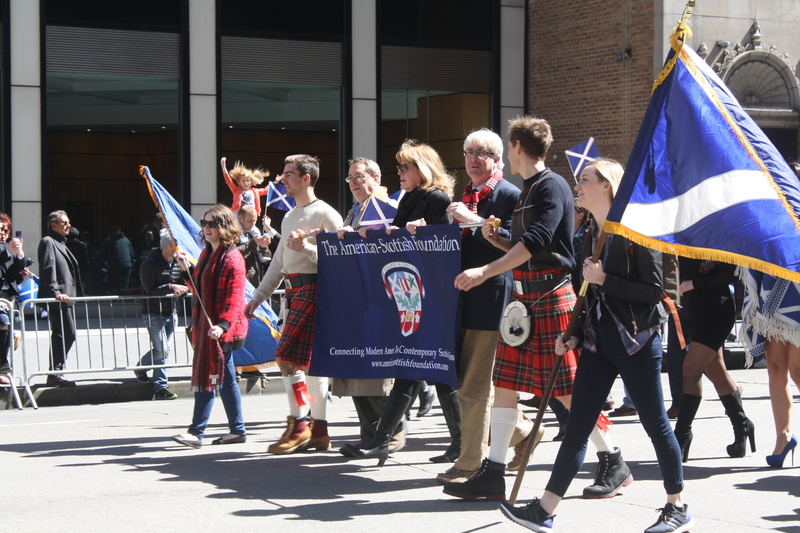 We’re thrilled to announce fifteen of the Scottie and Westie pups sponsored by Barbour in the 17th Annual Tartan Day Parade! 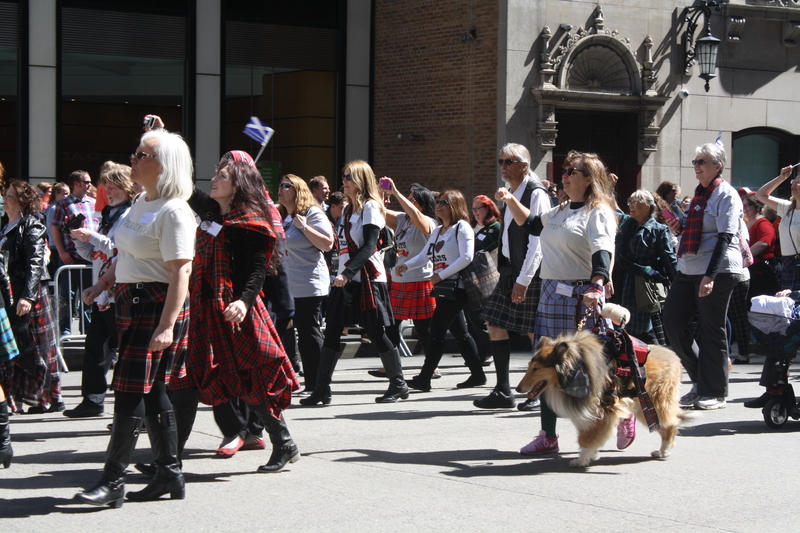 Meet members of the pack below who will be marching up New York’s Sixth Avenue in their very own tartan Barbour dog coats. 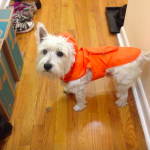 Tofu is thrilled to receive his very own Barbour coat! 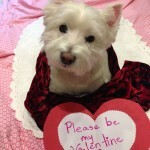 Fashion-forward Lucy loves wearing tartan. 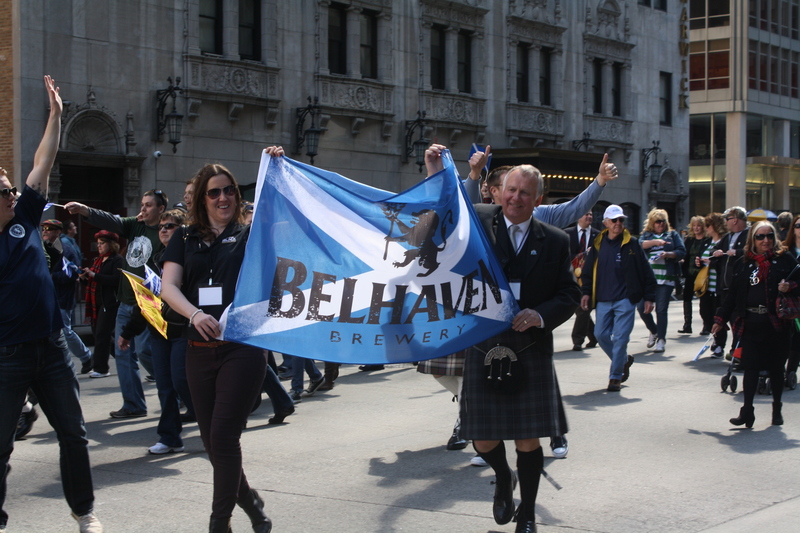 Buttercup, also known as “The Duke of Buttercup,” is a seasoned Tartan Day Parade marcher. 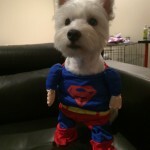 Last year, he was nominated for Best in Parade. 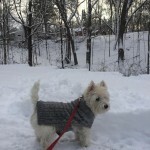 Sadie Sheen is an aspiring model who is delighted to be sporting her custom coat! 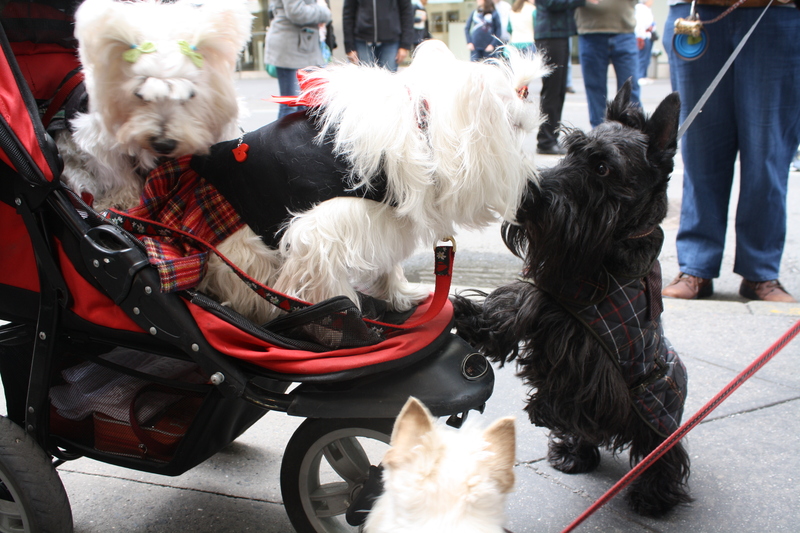 Missy Paulette (pictured with friend Casey Jane) marches in the parade every year. 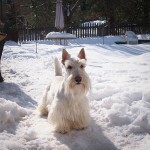 Gunner is a Wheaten Scottie who will turn two years old on the Fourth of July! 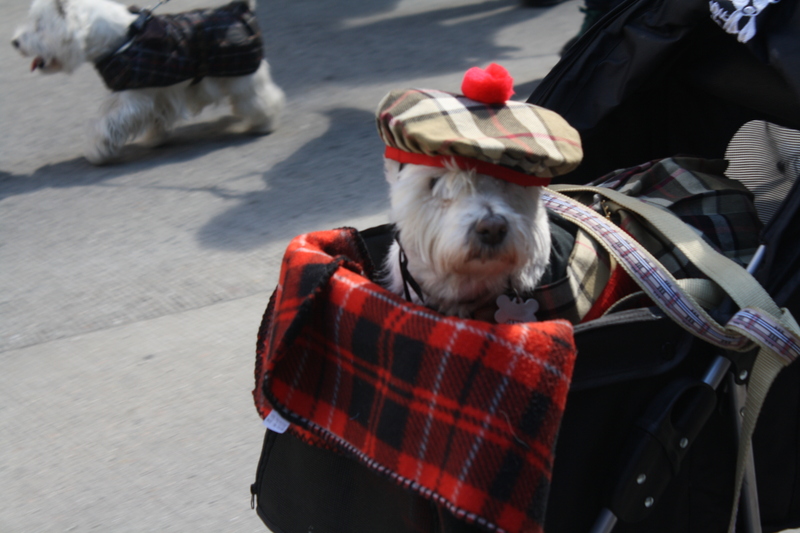 Winnie was proud to model a Barbour coat in the parade last year and loves everything Scottish. 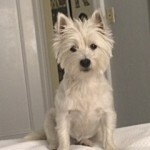 She even watches Outlander! 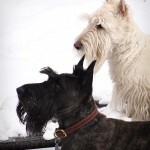 Callum (left) adores watching squirrels. 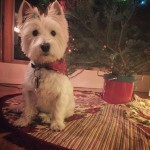 Riley is a handsome and loving seven-year-old Westie who loves sweaters, jackets, and all things tartan. 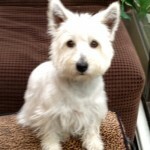 Bomber is an experienced model who cannot wait to try on his brand new Barbour coat. 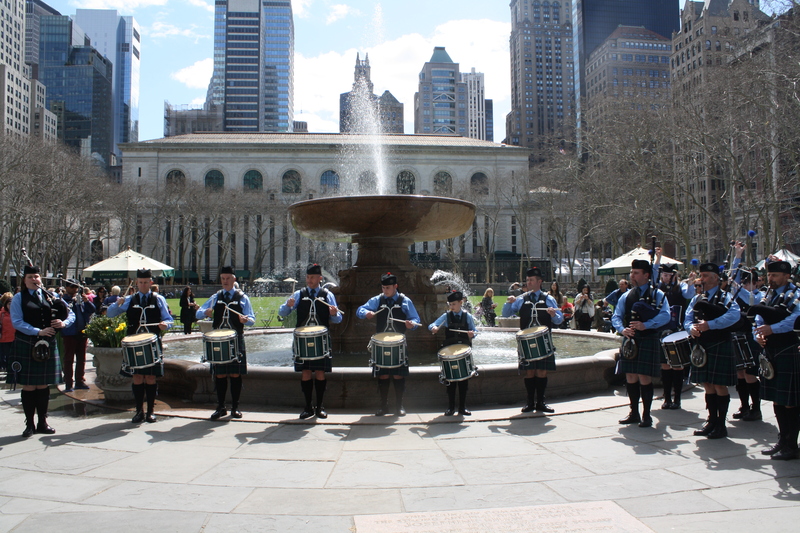 Daisy can’t wait to celebrate Tartan Week with all her friends! 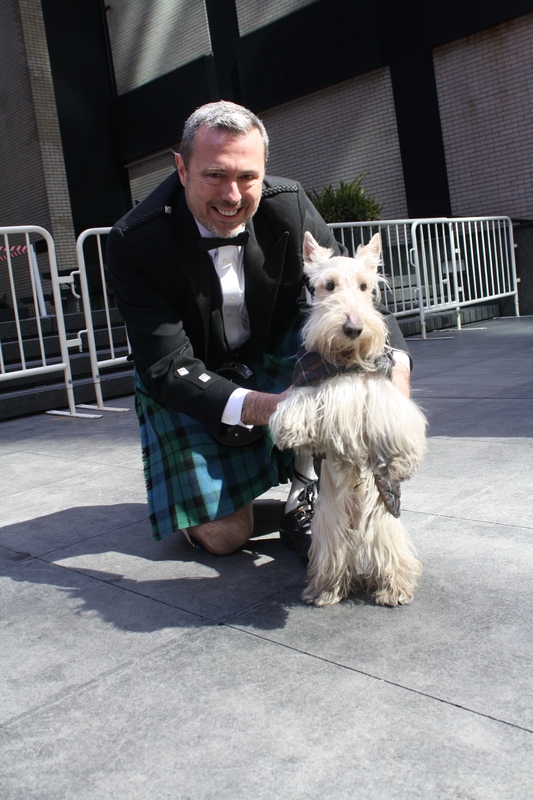 Snowball McDuff loves walking in the Tartan Day Parade. 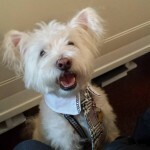 He is a certified Good Dog Foundation dog, and in his free time works as a therapy dog. 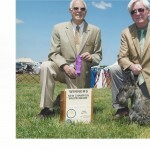 Grand Champion Firth of Forth Traveling Man, also known as Pikey, is a beautiful and very accomplished brindle Scottie. 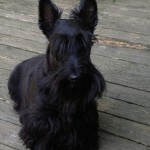 Walter is a fashion forward two-year-old Scottie who can’t wait to model his brand new Barbour tartan coat! 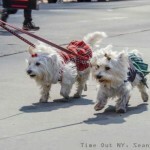 This entry was posted in Uncategorized and tagged Barbour, Barbour Tartan Dog Pack, ScotlandNow on April 1, 2015 by Sara Heegaard.